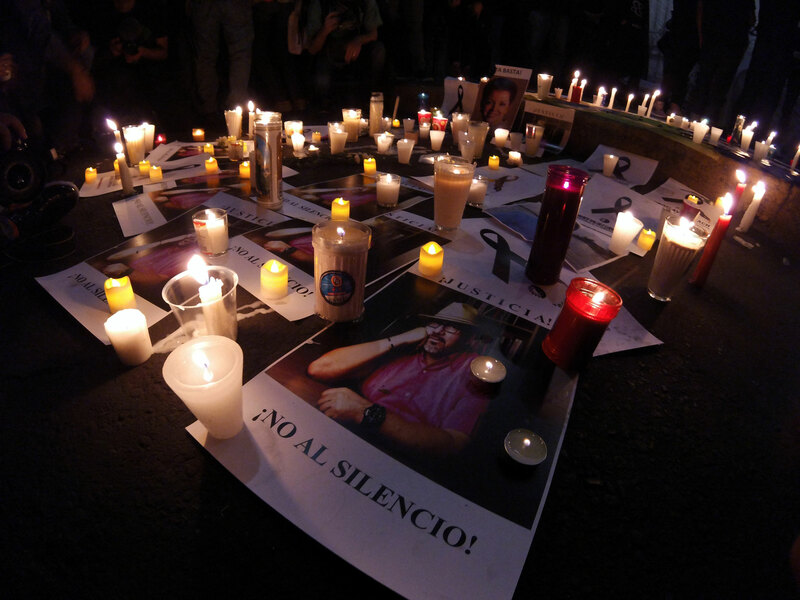 Mexico is one of the deadliest places in the world to be a journalist, with more than 100 having been murdered since 2000—many at the behest of drug cartels or public officials. Carlos Bravo Regidor, associate professor and journalism program coordinator at the Center for Research and Teaching in Economics (CIDE), and journalist and author Alfredo Corchado (Midnight in Mexico: A Reporter's Journey Through a Country's Descent into Darkness) discuss this threat to the fourth estate with moderator León Krauze, USC Annenberg journalism chair and Univision anchor. Demonstration outside Secretaria de Gobernación (Secretary of Governorship) against Mexican journalist Javier Valdez murdering, occured in Culiacán, Sinaloa on May 15th, 2017. Media sponsorship is provided by KPCC Southern California Public Radio.